Roseville Cinema is very baby-friendly, it has 'baby crying rooms' in both cinemas. 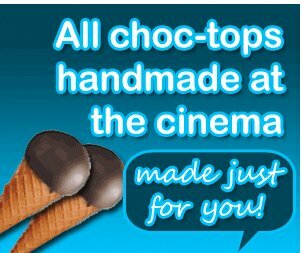 If you are looking for a family friendly cinema in Sydney, it's here! 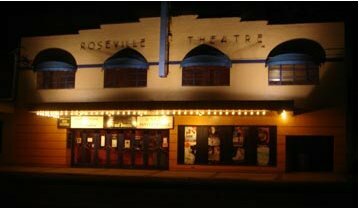 Roseville is a really charismatic, old-fashioned picture house. It’s a family owned and operated independent cinema, quite a breath of fresh air. I’m terribly fond of it for it’s olde worlde features and its great choice of art house movies. This was the first cinema with a ‘baby crying room’ that we ever tried… long ago now, but still remembered! Roseville Cinema by night, always a welcome sight. Both screens of the Roseville cinema have separate ‘baby crying rooms’ inside the cinema. This is a glassed in area, suitable for families with babies and young children. Both have six seats. There are volume, air conditioner and light dimmer controls in the rooms. No bookings are taken for the rooms, so it is a first-come-first-served scenario and the cinema advises arriving at least 15 minutes early. Prams cannot go into the rooms but car seats and bouncers can. A bouncer and a change table is placed in each room. Parents can take partners and friends into the crying rooms, but if another parent and child need the seat the companions will be asked to sit in the main part of the cinema. Are you a fan of Roseville Cinema too? Have you taken the kids to the movies? I’ve never seen a baby crying room, but it sounds like a wonderful thing.